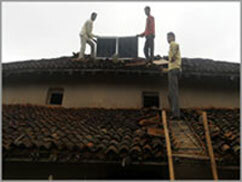 CDC has been established 6 solar charging station at Balgaon and Lapti village of Baihar block in Balaghat district. This project has supported by Australian High Commission, New Delhi. The community solar charging station is a good source of light for poor families, who lives without electricity and Kerosene also not available. 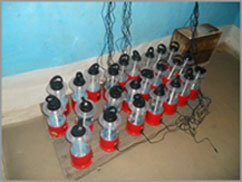 The project is covering 150 BPL families [GOND and BAIGA] with this project. These charging station not only for solution of light but provide livelihood and collective efforts among community.